Click here to learn about our storm damage services! Family owned and operated, Arango Insulation is an insulation contractor providing commercial and home insulation products and services for homeowners throughout the Atlanta Georgia area, as well as commercial applications from Pennsylvania to Texas and everywhere in between. With extremely fast turnaround times and experienced employees, we pride ourselves on a total commitment to customer service that is unrivaled in the insulation contractor industry. From the attic to the basement and everywhere in between, Arango is your home insulation contractor for virtually any project. Whether you’re interested in retro fitting your Smyrna home's attic insulation with fiberglass batts, or you’d like cellulose for your Atlanta condo, we can provide you with the services and the insulation products you need quickly and affordably. We proudly serve the greater Atlanta area, including Smyrna, Peachtree City, Marietta, Athens, and beyond. With next-day turnaround and precise, thorough service, Arango is the insulation contractor you need to get the job done on time, every time. Call us today, and we can often be out on the job site tomorrow. From fiberglass insulation for a single-family home in a new community to spray foam for office buildings and everything in between, Arango has the technology and capacity to handle all jobs, large and small. For more information on all the insulation products and services offered by Arango Insulation, call or e-mail us today. 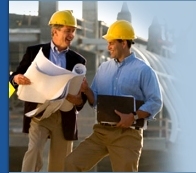 We’ll be happy to serve you as your fast, professional commercial or home insulation contractor. Providing environmentally conscious options for homeowners and commercial clients alike, Arango Insulation strives to offer insulation products that save you money and save the planet at the same time. Working together, we can bring ourselves toward a cleaner, greener, more sustainable future. © Copyright Arango Insulation. All rights reserved. Website designed, developed and maintained by Socius Marketing, Inc.